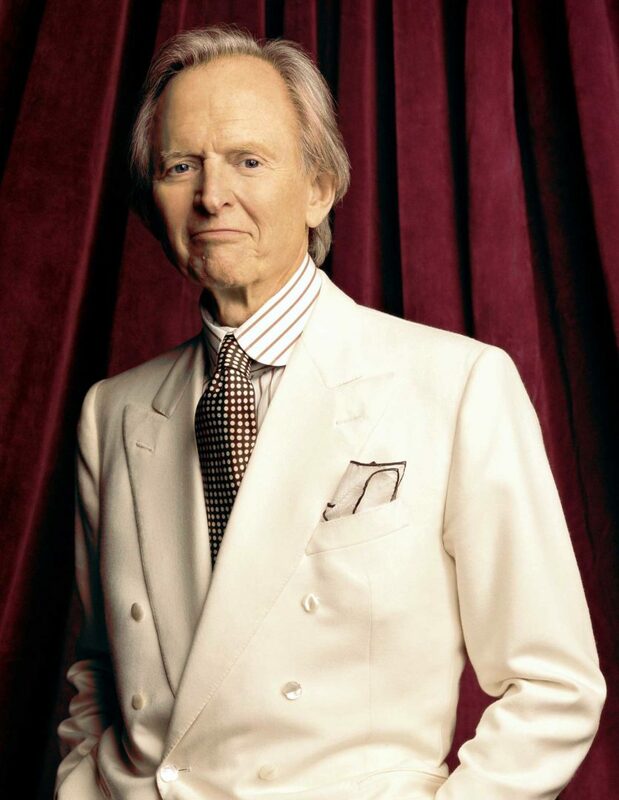 Tom Wolfe, journalist, novelist, and gadfly of both professions, died yesterday at the age of 88. I first discovered Wolfe through his fiction. I have no idea where I heard about it or why I started it, but I read The Bonfire of the Vanities as a freshman or sophomore in college. It was a massive novel in tiny print—even tinier in the mass market paperback I had—that I plowed through an hour or two at a time in the university snack shop. As soon as I was finished, I picked up A Man in Full. I read these just in time for I Am Charlotte Simmons to come out, which was one of the first novels I ever bought in hardback. But this latter I gave up on about halfway through. I could take Wolfe's minute inspection and heightened dramatization of big city, upper class hypocrisy, manipulative identity politics, art world fraud, and even stud farming, but the underbelly of college education hit too close to home. It depressed me. Some of his essays, especially "Hooking Up," a prophetic look at the emerging sexual ethics of 21st century America, depressed me too. Later, as I finished grad school, I returned to Wolfe and read The Right Stuff, which is still one of my favorite books. But, I'm sorry to say, my foray into Charlotte Simmons in the fall of 2004 is the last of Wolfe's fiction that I read. I wasn't the only one to be put off by Wolfe's work. I chose the word gadfly above for a reason. Wolfe had the ability to make people uncomfortable, an ability by turns enviable, by turns dubious but, I think, necessary. Each of his books provoked outrage from some quarter, whether the precious heights of the modern art world or apologists for latter day university debauchery. I hesitate to call him a journalistic Socrates—it's the kind of comparison I'm sure he could turn on me and make me sound ridiculous—but there was something of Socrates in his way of life: the suit, the ties and pocket squares, a strange man on a laser-guided search for unquestioned assumptions and hidden foolishness. And, of course, Socrates provoked outrage, too. Controversy aside, Wolfe was unmatched as a writer. Since discovering Bonfire in college, I've revered him. The tone and sheer volume of his prose mesmerized me, brought me into a dreamlike state in which he seemed to telegraph his story directly into my brain, without intervening paper and ink. There was probably a word per page of that book that I had never seen before, but which I understood intuitively from the way he used it. Any writer who wants to see, know, and understand the power of the precisely chosen word would do well to pick up some Wolfe and read. His style, vocabulary, and command of the language were unmatched and will probably remain so for a very, very long time.